You don’t have to leave the city to get started foraging. Life finds a way, even through sidewalk cracks and abandoned lots. Once you learn to identify basic urban food plants, street trees that you’ve walked by hundreds of times will suddenly come alive with possibility. Who knew you some of the most popular shade and landscape trees are also tasty edibles? Beyond that, humans are resourceful. 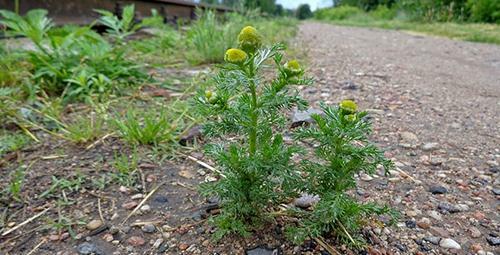 Weeds are resilient, but so are we. If there’s a plant that can grow just about anywhere under any conditions, we’ve likely found a way to eat it. There have been lean times in the past, and there will be again. Wild clover is everywhere, and easy to identify. It pops up in lawns and out-competes grass in areas with high traffic, shade or over-watering. Clover blossoms can be eaten fresh, for a sweet treat. They can also be dried and made into a mineral rich tea. Lastly, they were used by our ancestors to stretch wheat flour. Dried clover blossoms, ground with a mortar and pestle, can be substituted for up to 50% of the wheat flour in recipes. Acorns are a protein rich survival food, and oak trees are abundant as street and landscape trees in urban environments. It takes a bit of work to remove the tannins and make them edible, but the payback is worth it. This cold leaching method leaves more nutrients in the acorns than other methods, and doesn’t require any added energy or fuel. Acorn flour can be substituted for half the flour in traditional recipes, like these acorn flour chocolate chip cookies. It can also replace almond flour in paleo and gluten free recipes. These days you can find dandelion greens at high end organic markets, selling for more than $20 per pound. Or you can just pick them from your yard for free. It does take a little attention to detail to pick good dandelion greens. The greens turn stringy and bitter once the flower stalk begins to develop, so harvest leaves from dandelion rosettes before the flower stalk begins to form. Dandelion blossoms can be eaten fresh, or made into jellies or wine. The roots, like the leaves, are bitter if harvested after the plant blossoms. If harvested early, they can be eaten boiled like carrots or made fritters. Often found growing wild along roadsides and in abused urban areas, chicory is actually cultivated to make a distinctive coffee drink popular in the south. If you’re wild foraging food, you can skip the other ingredients and brew a convincing coffee substitute from chicory roots. Wild chicory is a type of endive, and the leaves can be added to salads for a bitter kick, or they can be cooked as a pot herb to reduce the bitterness. A common street tree, lindens grow large throughout urban areas on the east coast of the US and in Europe. Every part of linden is edible, including the flowers, leaves, seeds, bark and sap. Identifying linden is relatively easy, because of the distinctive leaves as large as your hand and small exceptionally fragrant flowers. Beyond being edible, the flowers are a traditional treatment for anxiety, which could come in handy in a survival situation. How many people thrown apple cores out their window in any given year? Check along roadsides and in abandoned areas, and you’re likely to find a rogue apple tree. Though wild apples may not be as sweet as their native grocery store cousins, they’re perfectly edible. Crab apples are smaller, but they’ll always have a distinctive blossom end at the bottom, unlike cherries and plums that are smooth. At a local park, I overheard a mother scolding her children for tasting the “poison cherries.” I walked over and picked a handful, handing them to my own children. They were some of the tastiest crab apples I’ve eaten to date. And you can also find them in winter. Know how to identify them, well before you need to. Either wild grown or planted as landscape and shade trees in urban environments, beech trees produce small nuts a bit larger than a sunflower seed. Beechnuts contain roughly 20% protein, compared to 7% protein in acorns. Even more impressive, they’re 50% fat. 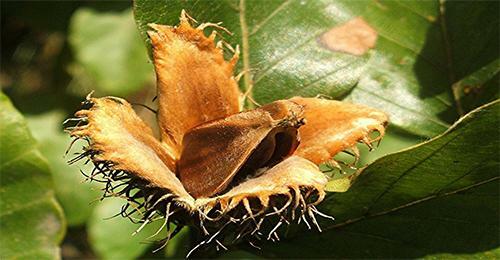 Identifying Beech nuts is easy, as they have distinctive velcro covered husks each containing 2 to 3 triangular nuts. They produce in abundance right before leaves begin to turn in the fall, but you’ll need to beat the squirrels to them. Every part of plantain is edible. The leaves are a bit stringy and bitter eaten raw, but they soften up nicely after a quick dip in boiling water. The seeds can be used to stretch flour or eaten fresh. I remember reading about the Donner party and hearing that they’d suffered from scurvy before they’d started starving to death. I thought it was the strangest thing, because they were stuck in a conifer forest, full of vitamin C rich conifer needles. 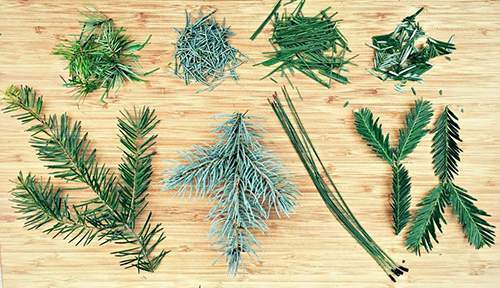 Though there’s not many calories in pine needles, conifer needle tea can help prevent scurvy and keep you healthy enough to stay out foraging higher calorie foods. Also known as “goose foot” for their distinctive leaf shape, lambs quarters command high prices at ritzy restaurants, but they’re free growing up out of a sidewalk crack. They’re best eaten young, before the seeds begin to form. It’s said that they can be boiled as a pot herb, but I’ve never bothered. They’re sweet tasting and have a delicate texture that I’d hate to spoil by cooking. 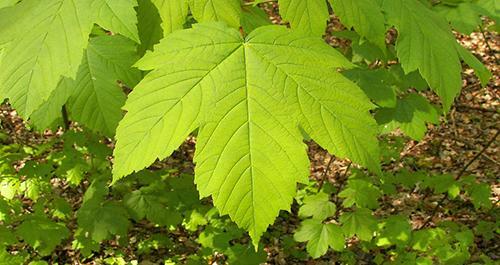 Just about every type of maple tree, even ornamental urban maples, produce tasty sap that can be boiled for syrup. You don’t need fancy tapping equipment to collect sap. In a pinch, you can use a pair of scissors and an old soda bottle. Simply snip off the tips of a few low branches and stuff them into a soda bottle, with the branch tips pointed downward. The bottle will fill just like a sap bucket, no tap required. Beyond maple, there are at least 27 trees that can be tapped for syrup. Birch, black walnut and hickory are made commercially in the United States, but many other species produce distinctive syrups. Sycamore sap, for example, can be boiled into a butterscotch flavored syrup. This chamomile like flower can be found growing up out of sandy soil patches along roadsides, sidewalks and often right in the middle of parking lots. It’s not truly chamomile, and it lacks white petals. The small flowers are just rounded yellow cones, and they emit a pineapple scent when crushed. They can be eaten raw, cooked or made into a tasty tea. Both the petals and the vitamin c filled rose hips can be eaten for food. Try adding a handful of rose petals to any baked good, and for an extra special foraged treat, try substituting half the flour with ground clover blossoms before adding rose petals for flavor. 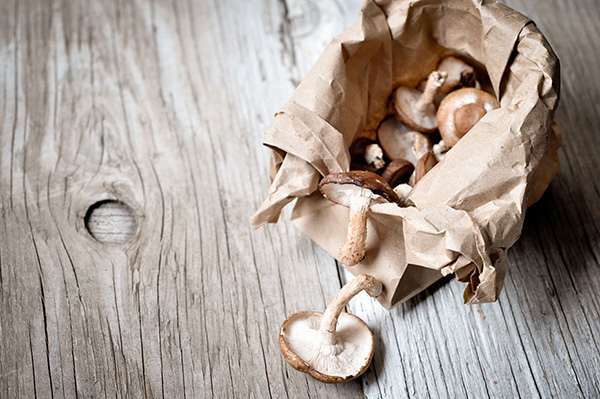 Though they can be tricky to identify, mushrooms are high in nutrients and worth the effort. Common urban mushrooms include shaggy mane, oyster, hen of the woods, giant puffball and wine caps. Wine caps are especially common, as they love to grow out of decomposing wood chip mulch in urban plantings. Both the stalks and roots of burdock are edible. Burdock flower stalks are making their way into fancy restaurants, and the roots have long been a staple in asian cooking. They can be eaten in stir fries like daikon radish, or made into a cleansing and diuretic tea. Also known as wild carrot, Queen Anne’s Lace is the wild ancestor to our modern day carrots. The leaves have a distinctive carrot smell, and the roots are down right delicious. The problem is, it’s relatively easy to confuse them with water hemlock, a highly toxic wild weed. Make sure you’re confident in your identification, and you know how to distinguish between queen annes lace and poison hemlock. Birds love to eat wild grapes, and spread their seeds far and wide. They can be seen growing up just about anything vertical, including chain link fences and telephone poles. Most people know how to identify grape leaves, and the fruit looks just store bought grapes, only much smaller. The hardest part is beating the birds to the fruit. Found wild alongside highways, or growing out of neighborhood perennial beds, daylilies are a tasty treat. The flowers taste like fresh, sweet spring peas with added floral notes. Though I’ve always heard to eat the unopened buds, I’ve found that the mature, fully opened flowers have the best flavor. Both the flowers and the leaves of violets are edible, and full of vitamin A and C. They can be found growing up out of shady patches of lawn or alongside sidewalks. They’re particularly resilient and have adapted well to urban environments. It’s pretty amazing where raspberries can survive. I’ve seen them coming up at the edges of sidewalks, and plants no more than a foot tall bearing fruit. 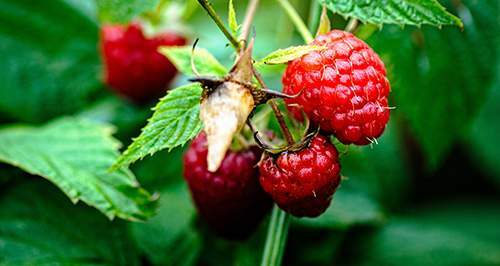 Since the seeds are carried by birds, raspberries can sprout up just about anywhere there’s soil. The best places to look for raspberries in abundance are abandoned lots and around the edges of parks. While most people think of cattails as something they’d see at the edge of a pond out in the sticks, it doesn’t take much water to support cattails. 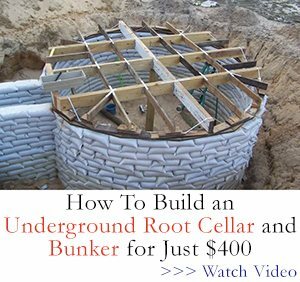 They can grow in any drainage ditch or low lying area that regularly accumulates water. They’re common in highway medians where the soil has been lowered to allow for drainage from the road. Parks and abandoned lots are good places to find them too. The rhizomes growing in the mud under the water are full of starch and can be eaten like potatoes. 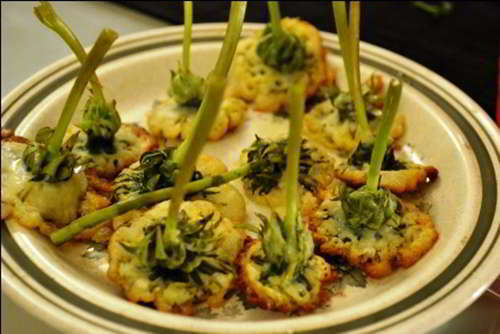 The stalks are a great spring vegetable, and the pollen can be used as a flour substitute in baked goods. Your photo of cattails shows the brown stage of the cattail head, The common usage is for the green immature heads as once they mature the heads are fibrous and unappetizing. One brave soul who in attempting to follow a recipe that as a typo had utilized brown cattail, (the recipe intended to say green), accidently discovered a delicious substitute for pork. Oh. My. Gosh. That looks and sounds amazing! Thank you, I’m going to have to try it!! Neat article! I can’t wait to try some more of these. My grandmother always made wilted dandelion salad with bacon, garlic, and vinegar, yum! When I lived in a big city, I bought some dandelion greens at the grocery, but learned that it’s not the same plant as the one all over everybody’s yards and fields come spring. The wild one is way more flavorful, although they need to be cooked longer to be tender. And where the domestic animals frequent. I’ve studied mushrooms for years, I am by no means an expert but I never recommend anyone who does not know what they are doing to eat any kind of wild mushrooms, eating just a small amount of the wrong mushroom can kill fortunately there are plenty of easily identified mushrooms that are edible if anyone is interested in learning get yourself a good book, I recommend The Audubon Society Field guide to North American mushrooms, the other one I would be leery about depending on your area is the wild grape, here in the North East we have a false wild grape, I cannot remember the tech name but it is poisonous, they look the same but the big difference is the seed, the seed is almost as large as the grape, the best thing to do is buy some books and head into the woods and start learning. 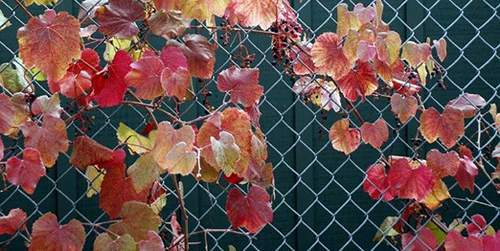 The wild grape is known in the SE as the Muscadine grape. The seed has some of the highest known Resereratrol (sp? 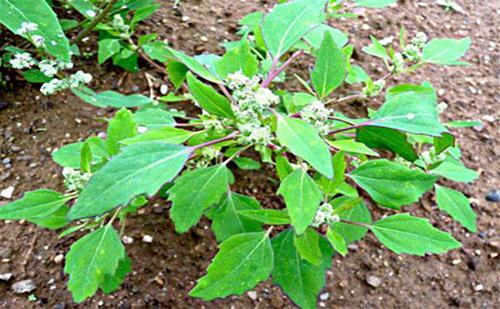 ), and is used as a natural treatment for blood pressure, and is known to diabetics to lower A1C (blood sugar levels). Resveratrol is the natural antioxident found in red grapes, berries, peanuts, pistachios, and red wines. All grapes contain resveratrol, but the thicker skinned varieties contain the highest amount. Good ole’ muscadines are some of the thick-skinned type. The dandelion root can be dried, crushed and taken as a medicine. It is said to help a number of ailments. Also, be extremely careful with Queen Anne’s Lace. It looks a lot like poison hemlock. If in doubt, throw it out. I grew up eating many wild plants. We would saute the buds of day lilies in a little butter. Many different greens with hot bacon grease poured over to make wilted lettuce. A couple left out though, wild onion and garlic. I have found wild onion growing in the front yard with bulbs bigger than golf balls. Poke is another. Poke sallet being a staple as a kid. Just remember that poke sallet has to be boiled in several changes of water before eating, as it contains a toxin if eaten fresh. The roots are poisonous- use only young leaves and shoots. Fc, the poke root and berries have many,many medicinal uses… but the root can be harvested after the first freeze and used safely in very small doses… ref. Indian Herbology of North America by Alma R Hutchens. can y by those books. what is the cost of those books.. Sorry this is not a food topic, but the picture of the brown cattails reminded me. I’ve hear that the American Indians would use the fiber of the cattail at the right stage of coming apart for “diapers”. They would use a piece of fabric between the infant and the cattail fiber which was then held in place by another wrapping. Yes,and women would use much the same method for feminine hygiene … or so I have read in some very old books … also was used as a fire starter and for wounds and to stuff pillows and matresses.